You are here: Home / Retail Leases / When Do We Go Too Far In Taking Away Normal Real Property Remedies? When Do We Go Too Far In Taking Away Normal Real Property Remedies? In New York, when a tenant is confronted with a default notice from its landlord matched with a provision in the lease allowing the landlord to terminate the lease if the alleged default is not cured in the time provided, the tenant can seek what New Yorker’s call a “Yellowstone Injunction.” Basically, if granted, the cure period is tolled. The underlying basis for this procedure is that the “law” in New York abhors a forfeiture. This is a matter of public policy. Keep that in mind as you wade your way through today’s posting. 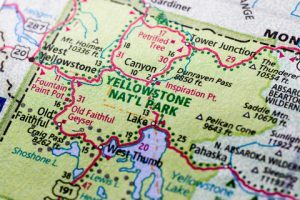 In addition, absent the Yellowstone injunction barring the landlord from terminating the lease, the tenant wouldn’t otherwise get a hearing before the stated cure period might expire. Although such injunctions commonly are issued, they aren’t automatic. The key thing a tenant needs to show to get this temporary relief is that it intends to and has the ability to cure the alleged default. [Tenant] waives its right to bring a declaratory judgment action with respect to any provision of this Lease or with respect to any notice sent pursuant to the provisions of this Lease. Any breach of this paragraph shall constitute a breach of substantial obligations of the tenancy, and shall be grounds for the immediate termination of this Lease. … it is the intention of the parties hereto that their disputes be adjudicated via summary proceedings. Even though we’ve expended over 500 words to get to this point, today’s Ruminations is not about New York law, nor is it about Yellowstone injunctions. It is about how far parties can go to contract out of remedies, especially those remedies premised on public policy. With that in mind, let’s only think about whatever things your state has declared to be barred by its public policy. For example, as it stands since the end of this January, New York now permits a tenant to contractually waive its right to obtain an injunction that would toll a landlord’s termination of the lease even though this tolling remedy is a matter of New York’s public policy. [Note: the New York court does not reject the existence of this matter of public policy; in substance it permits New York’s public policy in favor of freedom of contract to override it.] The court’s decision does a pretty good job about describing the basis for enforcing public policy. We aren’t going to restate the court’s analysis. For today’s purposes, that’s inside baseball. All we need to know is that the court balanced the two public policies, non-forfeiture and freedom of contract in favor of the latter. So, what other rights or remedies can parties to a lease (by way of example) agree to waive and have a court respect that waiver? Most readers know that federal bankruptcy law overrides freely agreed-upon lease terms when those lease terms would impair the ability of a bankrupt tenant’s creditors to maximize their recovery. The most basic lease provision cast into the dustbin or trash bin by bankruptcy court is the one that says the filing for bankruptcy will be a default that terminates the lease (the ipso facto clause). The public policy inherent in bankruptcy law cannot be waived by a tenant. That clause is unenforceable. So, can a landlord and tenant agree that all disputes, even those that directly would result in an eviction, must be arbitrated? This would pit the public policy of “abhorring forfeiture of real property interests” against that in favor of arbitration and cut out a court of equity (see below for what “equity” has to do with the price of tea in China). Let’s go one step further. Eviction is an equitable remedy. In general, courts have discretion as to whether to evict a tenant. Yes, judges get to exercise judgment. If that doesn’t sound right, then consider the following. A tenant, by its lease, is obligated to lubricate its door hinges weekly. It fails to do so. The door hinges (theoretically) are going to have a shorter useful life. Failure to do the weekly maintenance is a breach of the lease. Is a court obligated to evict the tenant? In short, “No.” It would be inequitable to do so. Eviction is an equitable remedy available to a landlord. Now, if the landlord could prove damages (e.g., losing 20% of the hinges’ useful life, perhaps a $20 loss per hinge), can a court legitimately refuse to award the proven damages. No. Basically, it is public policy to protect a tenant’s leasehold “estate,” and a trivial default will not trigger the death penalty, i.e., eviction. Now, would a court enforce an agreement by a strong bargaining power tenant waiving the right to litigate a provision giving its landlord the right to terminate a lease? Can a tenant prospectively release its landlord from a claim that the landlord breached the peace in performing a self-help eviction? Will a court honor a lease’s bargained provision that, in the event of a tenant default, the landlord can cut off the utilities or change the locks? We’re finished with our hypotheticals. Readers can make up their own. In all cases, however, let’s assume there are no other defenses. Don’t respond: “That’s an unenforceable contract of adhesion.” The sole question is: “Where is the line when it comes to a party, usually a tenant, waiving a right generally baked into our psyche, one that we think is a right granted by reason of public policy? And, when you think this issue through, think about whether there is or should be different treatment depending whether the public policy is intended to protect the “waiving” party or only the public at large. Keep in mind that public policy can protect either or both. Please share your thoughts, especially if you are aware of court decisions that allow a waiver that a lot of people would have thought to be protected. As set forth right near the beginning of today’s Ruminations, we only have the questions, not the answers.